First, I’d like to thank the folks at DUNU-TopSound once again for providing samples for review. 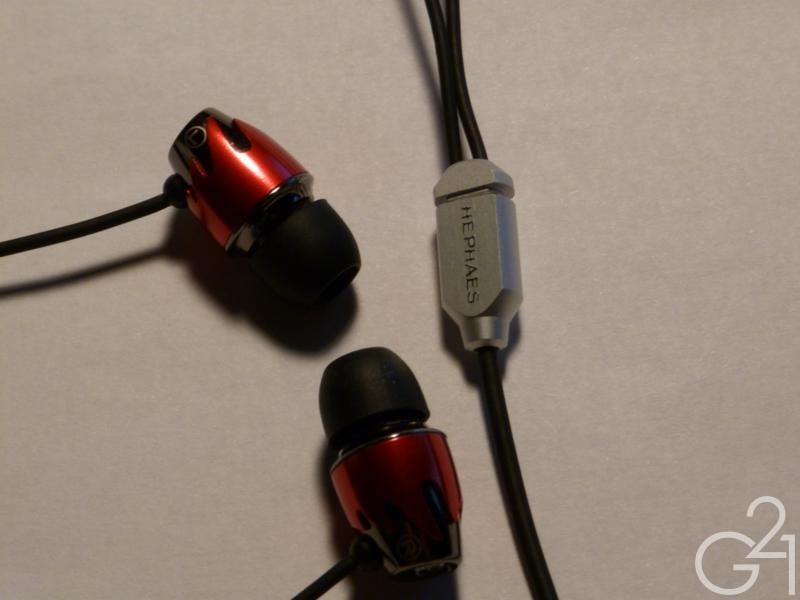 As DUNU’s current flagship IEM, the Hephaes has a lot to live up to. Competition in the sub $100 price bracket is stronger than ever, with strong entries from several companies such as HiFiMan, MEElectronics, Spider Cable, Eymotic, among others. So, does the Hephaes have what it takes to compete in this heavily contested group? Read on to find out. I’ve already gushed about DUNU’s excellent packaging in previous reviews so I’m not going to go into meticulous detail here but I can safely say that the Hephaes does not disappoint in its price range (or beyond it, really). In terms of accessories, the Hephaes ships with a pair of ear guides which will assist in over the ear fitment, several different pairs of eartips in various sizes and shapes, from narrow opening to wide and single and bi-flange tips in multiple sizes, which should be enough to cater to just about anyone’s needs. Two cases are included with the Hephaes, including the leather(ette) drawstring pouch and the shiny black hard case I like so much. 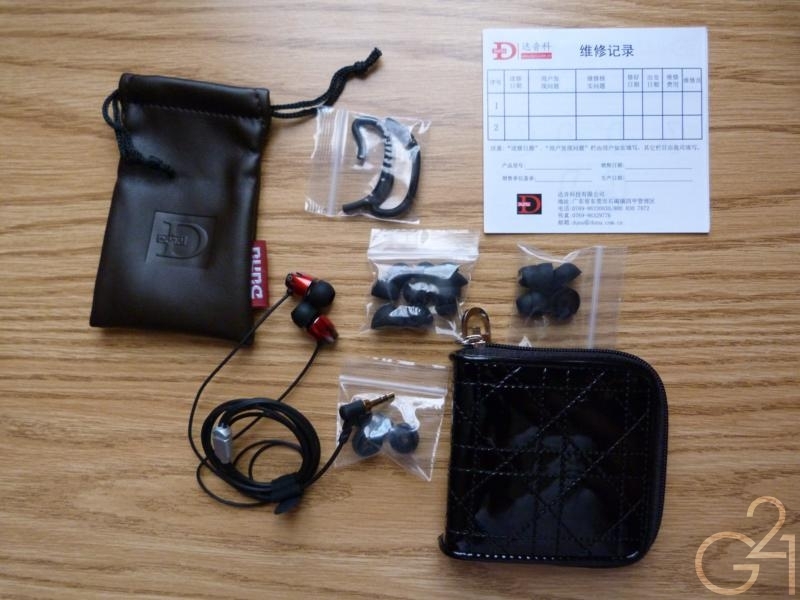 I do find it odd that the suede case that came with the Ares wasn’t included with the Hephaes, as one would think such a case would be reserved for the highest end earphones in DUNU’s present catalog but I guess you’d be wrong. Not a big deal as the clamshell case should be more than enough to satisfy but I figured this was worth mentioning all the same. The Hephaes is clad entirely in metal with red accents resembling flames around the inner silver metal housings which is not just aesthetically pleasing, but serves as an additional buffer to help prevent unwanted reverberations within the housing. 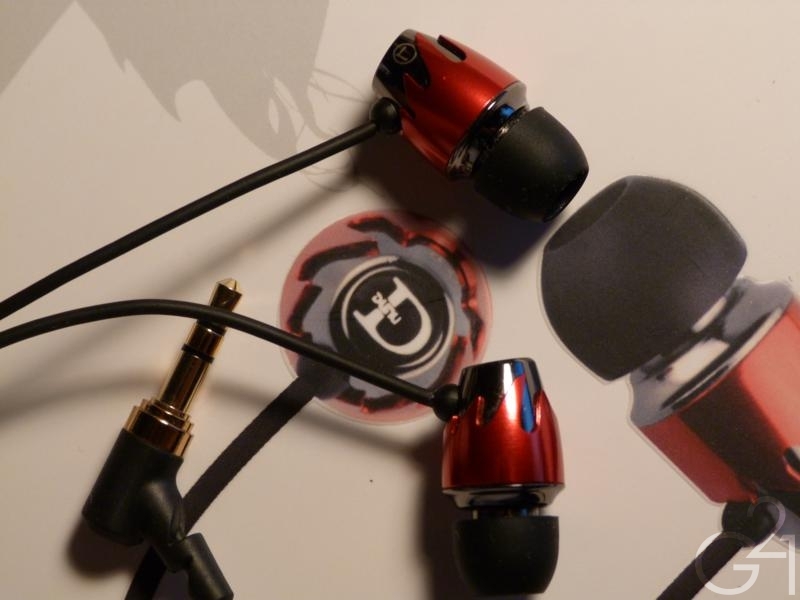 A bit more disappointing are the two stubby strain reliefs, similar to those on the V-Moda Vibe. These strain reliefs are simply too small to be very functional in the long run but thankfully, the cable itself is pretty robust, identical to those featured on DUNU’s lower end Ares, Crius and Trident. The metal Y-splitter and cable cinch is very nice and I like the lettering on the rear of the splitter, spelling out “Hephaes”, in case you somehow forget what these IEMs are called. Frivolous? Sure, but a very nice touch nonetheless. L/R indicators are seemingly laser-etched into the sides of the IEMs and will be virtually impossible to see in the dark but are nice on their own. 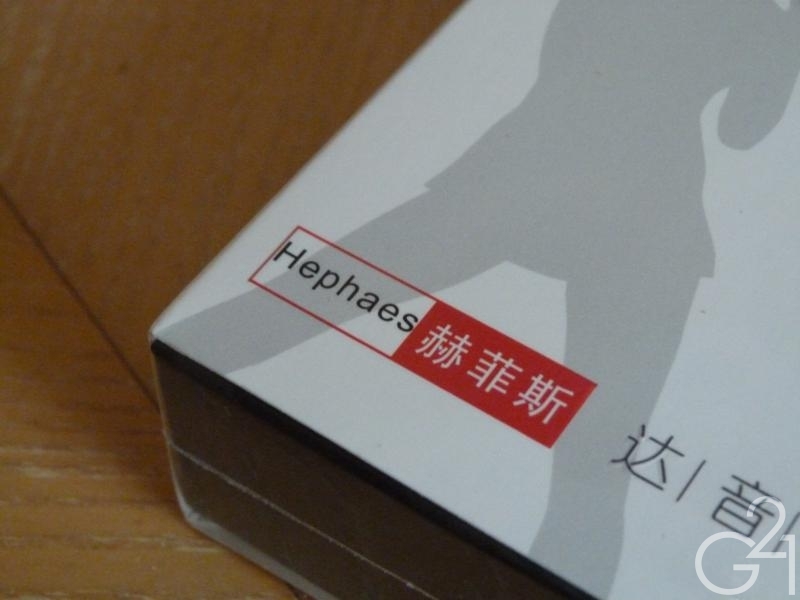 Overall, I am rather impressed by the build quality of the Hephaes. There is nice attention to detail and while I don’t think these are quite as durable as the lower end Ares due to the stubby strain reliefs, the build quality is certainly in the upper echelon. The Hephaes is a comfortable IEM that, thanks to its large assortment of various sizes of silicone tips, should be a good fit for just about anyone. Wearing them over the ear was especially easy to do with these IEMs because of their stubby strain reliefs and the included ear guides and resulted in a fit that was relatively free of microphonics. Isolation was typical of vented dynamics in that it was average. 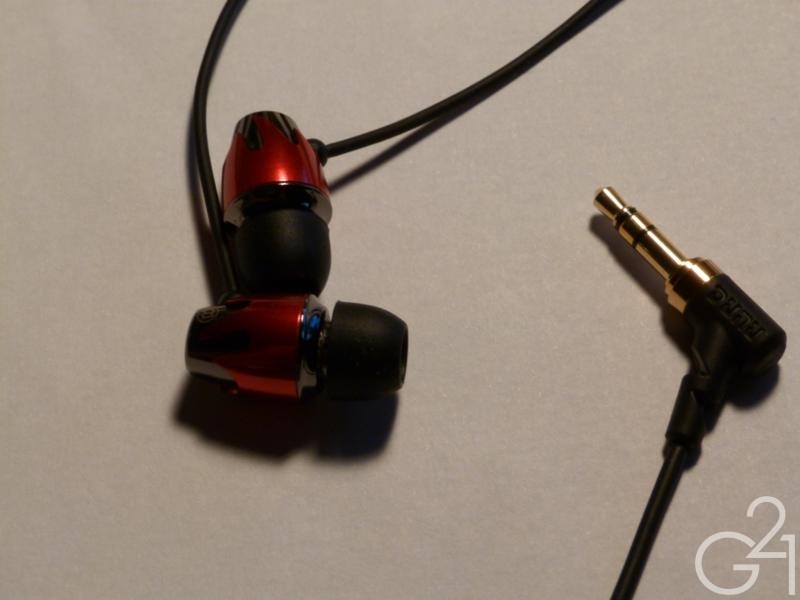 Burn in: These earphones were given upwards of 200 hours of burn in time prior to evaluation. The earphones did appear to be slightly more balanced and less bassy (but not very much so) after burn in. Bass. Gobs of it. The kind of massive bass that only a dynamic driver could deliver. That is what the Hephaes specializes in. 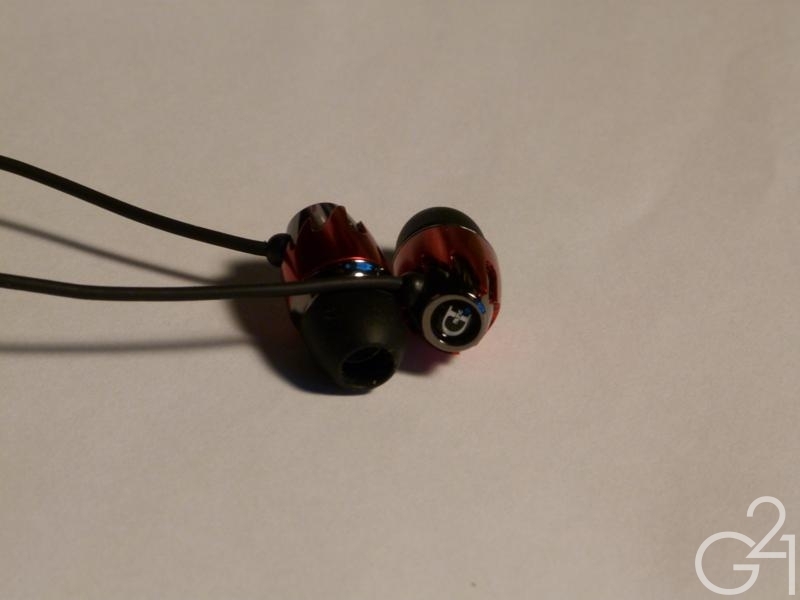 No doubt about it, bass heads will be in love with these as the sheer amount of bass these things can put out is rivaled only by the MEElectronics SP51 with the extreme bass ports in place. Listening to these for the first time, I was actually quite surprised by the level of detail and sub-bass presence these things were capable of. The Hephaes doles out a deep, textured and rich bass that’s surprisingly well extended. Even down to the lowest of lows, I could still hear (and feel) the bass rumbling. Yes, it’s bloated and a bit muddy due to the slow decay times but it’s a pleasingly bloated bass to me. If you don’t like your bass big and rumbly, look elsewhere. These earphones are not for you. The midrange is warm and mostly smooth, expectedly warmed up by the low end which hurts clarity but not too much so. Neither forward nor recessed, the midrange is situated right where it needs to be and in a world of IEMs with big bass that tends to occlude the midrange, the Hephaes’ ability to present a midrange that’s mostly unobstructed by the low end is actually rather impressive, but one would expect that from a pair of earphones in this price range. Unlike the lower end Trident, however, the midrange and treble presentation isn’t as smooth as I would’ve hoped. During testing I noticed that there are some sharp peaks in the midrange, specifically around the 3 – 5 KHz region which straddled the line between uncomfortably sharp and downright painful to hear at different times during my testing, particularly with vocals. The treble is similarly peaky in response, which I ended up having to EQ down. This is likely an attempt by the engineers to ensure that midrange detail isn’t lost under the weight of the bass these things pump out (it really can’t be said enough) but it just ends up being a bit unpleasant. Presentation is about average, with a decently sized soundstage and decent imaging. Nothing spectacular but nothing terrible either, just…decent. 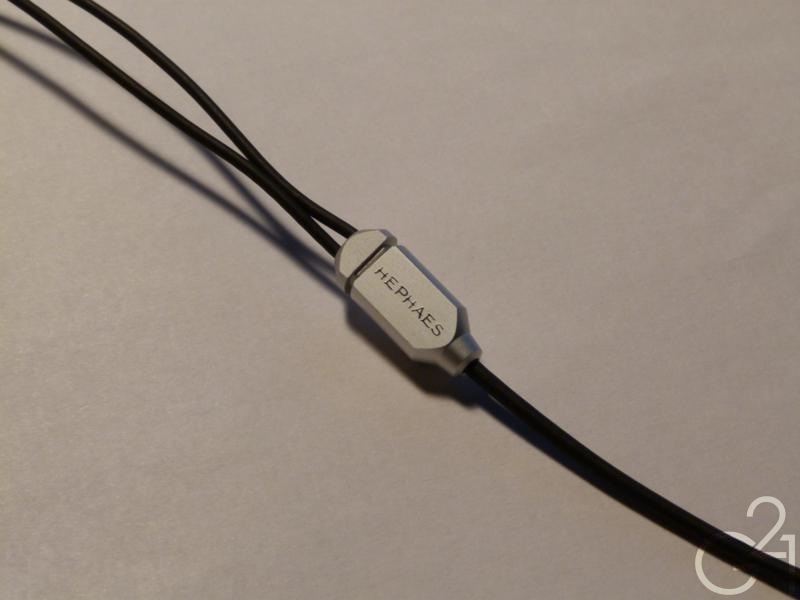 The Hephaes is an earphone that I find a bit hard to quantify in terms of tonal balance. It’s not quite dark because of the midrange and treble peaks but it’s far from bright too. Pairing them with a cold or bright source (such as an iPod Touch) may not be the best choice as that will exacerbate the sibilance issues but probably not to one who isn’t as sensitive to peaks as I am. 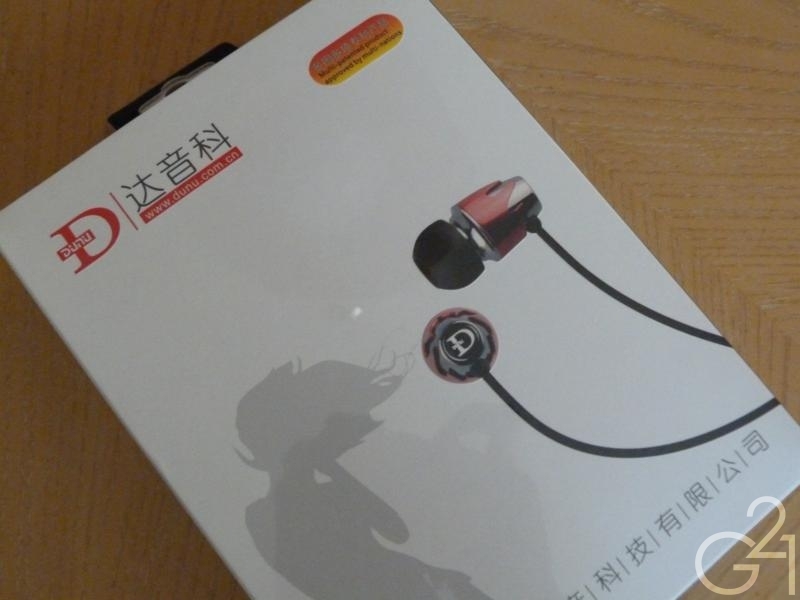 On the whole, the Hephaes is a good sounding set of earphones that could be better for the price. To me, they are a guilty pleasure. They’re a set I reach for when I’m listening to Hip-Hop or Electronic music and want to be bombarded by big bass. They’re a “fun” set, not necessarily the best for a broad range of genres, but great for headbanging. The DUNU Hephaes is available for about $99 or so on eBay and at that price, I honestly have to say, you can do better if you’re going for pure bang-for-the-buck performance and technical capability. These are for the bass lover who’s willing to spend a bit extra to get the biggest oomph. On a technical level, I’d recommend the RE0 or RE-ZERO over these and for sheer “musicality”, I’d recommend the Spider RealVoice or MEElectronics CC51, all of which are cheaper and are superior in different ways. That being said, I can’t fault anyone for wanting to pick these up. Don’t get me wrong, they sound pretty good for the price and I love the bass thump but trying to be objective in my recommendation, I realize that there are better options. 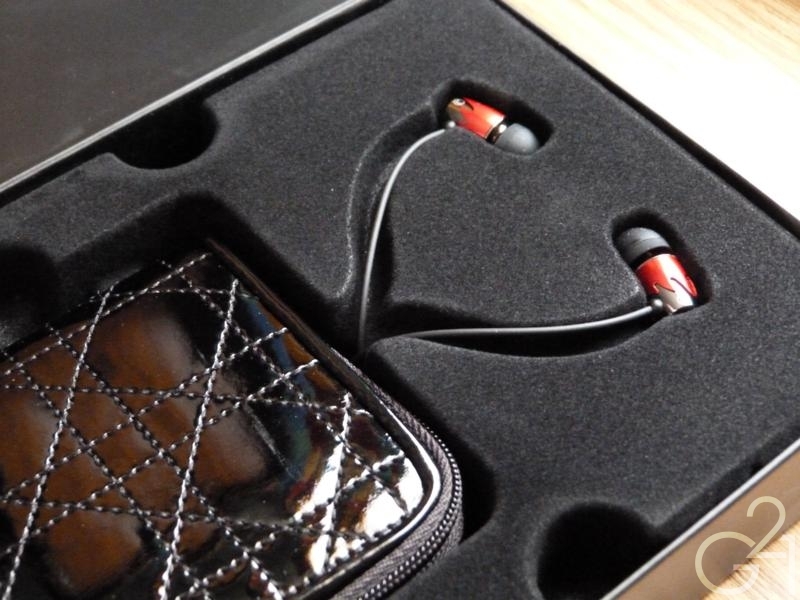 Few earphones out there will offer the end user the number of accessories you get with the Hephaes and the packaging is really second to none out of all of the sub $100 earphones I’ve reviewed. 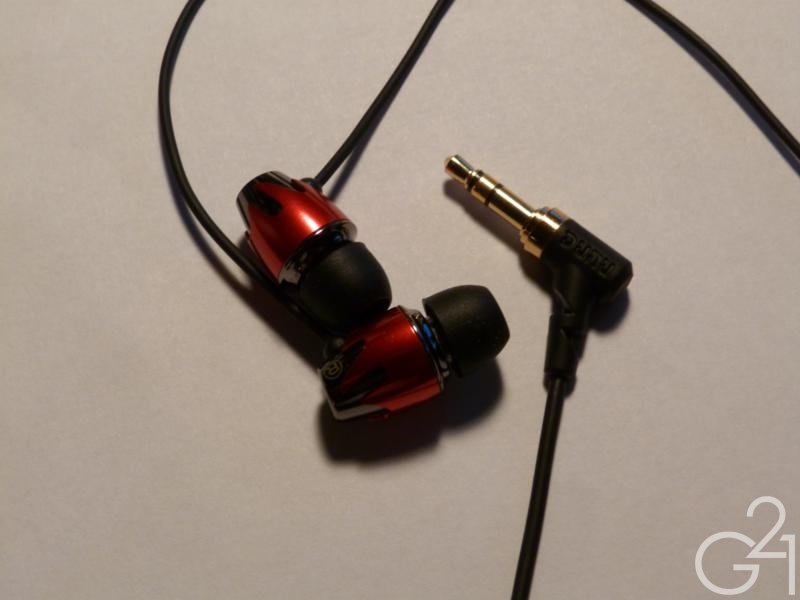 So, while the Hephaes doesn’t compete with the best earphones in its class for best overall value, they are still a very nice option for bassheads and pretty much anyone else who likes a bit (read: a lot) of “oomph” in their music.